Two-part Mojo Magazine Pink Floyd special - part one selling fast! 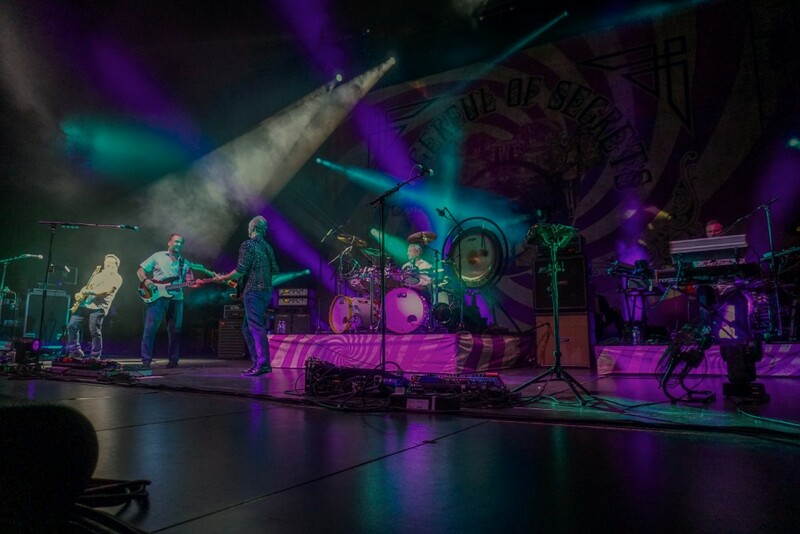 For Nick Mason, Friday night’s stop in Wallingford was only his third ever in the Nutmeg state as Saucerful of Secrets performed its first of two New England shows on their current tour. 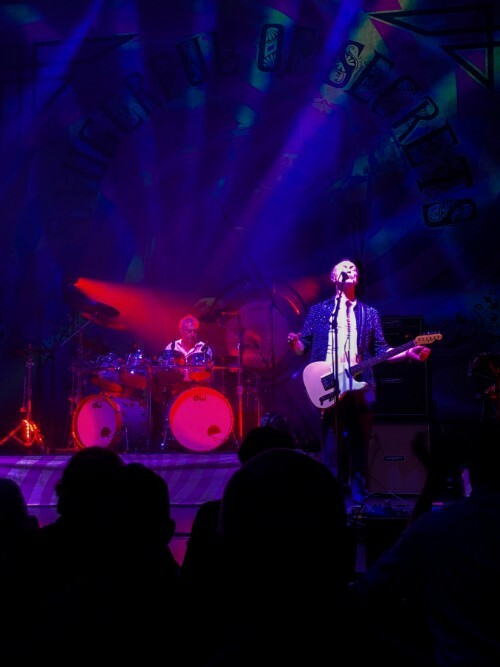 New England, known for its overcast skies and foggy autumns, probably has much more in common with Nick Mason’s Birmingham and Hampstead, and Pink Floyd’s Cambridge and London, than any other parts of North America the Saucers have visited on this tour, which begged the question of how the surrounding environment and culture would play into this evening’s vibe. Time and modern amenities betray these cultural elements though, and so the band played in a venue that is a far better fit for a modern country concert in Alabama than a classic rock show in historic New England. 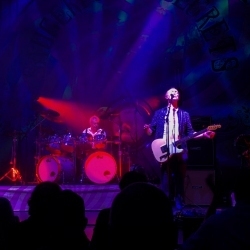 In many ways, this was a gig better destined for Hartford’s Bushnell Performing Arts Center – but that didn’t stop the band from putting on a great show. As the lights dimmed you could sense the crowd’s anticipation on this rainy New England night – but the band’s Interstellar Overdrive was a slow burn of an opener, a reminder that Saucerful of Secrets was not intended to stir up the populist Pink Floyd fandom but to transport you to something deeper. It was during the band’s second track, Astronomy Domine, that the full audience stood up, soaking in the echoes of Pink Floyd’s last tour in the United States, The Division Bell tour – the last time (and the first time) many in the audience had seen Mason play Astronomy Domine live. The band was in fine form: this is a group of five blokes that seem to genuinely enjoy playing together. Mason has surrounded himself with musicians who grew up Pink Floyd fans and invest a particular kind of love in the music they are playing with him. With the exception of Guy Pratt, who for all practical purposes (legality, cosmetics, and silly fan debates aside) became a member of Pink Floyd, these guys are probably pinching themselves every morning they wake up realizing they are about to play yet another gig with Mason who in all truth is, as Gary Kemp describes, the heartbeat of Pink Floyd. Gilmour vs Waters era? Forget that. Tonight is a reminder that there is only one Pink Floyd era that matters: the Mason era. And Pratt should still be waking up every day pinching himself for that. The band’s incursion into the quinquagenarian Barrett era pays off, waking up the sleeping giant of a catalog that truly defined an epic rock act no matter what musical path it took. Barrett’s personality and musical touch can be heard in every Pink Floyd album, even The Endless River, which is probably the album that ties the first period and the last period in the band’s musical history together best. Mason has chosen bandmates that truly fit his vision for the Saucers perfectly: guitarist Lee Harris, the band’s unofficial historian and instigator plays a mean, edgy guitar – if anything, his playing acts as the translator between eras, moving the charm and timeless flair of the Barrett era into modern territory. Not only does Lee put great bite and modern shine on the songs, his playing really makes you want to pick up your own guitar and rock out. Pratt has always been an underrated member of the Pink Floyd universe – his voice was always a great fit and elevated the band’s performances to a whole new level; though history will be kinder to him than some old school fans have been, Saucerful of Secrets is yet another vessel for him to articulate his Pink Floyd bona fides: The Nile Song – a track many fans have always itched to hear live – happens to be on this set list and performed enthusiastically and with great punch by Pratt. 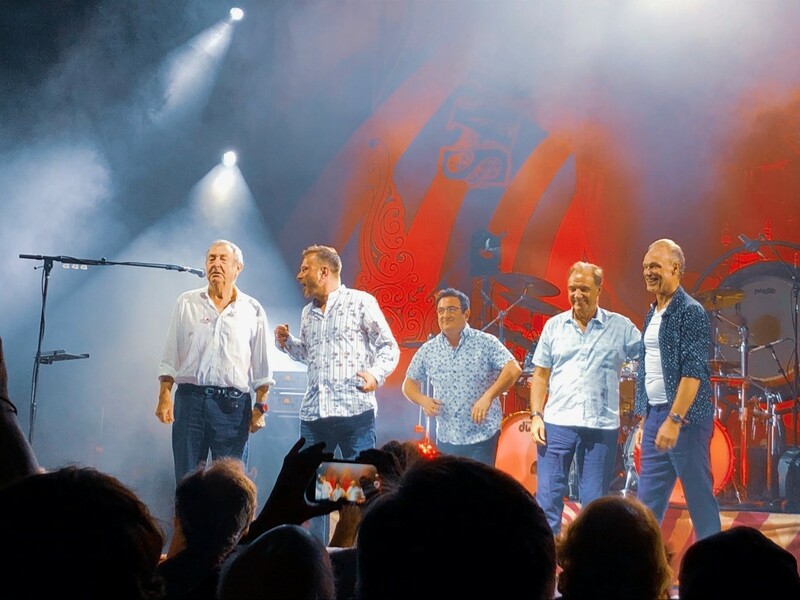 Kemp’s balance of vocals and guitars is also a great fit and his performance summons the specter of David Bowie – and not just any David Bowie but of the David Bowie that sang Arnold Layne with David Gilmour at the Royal Albert Hall in 2006. Dom Beken is to many the more mysterious presence in the group – but this shouldn’t diminish his standing: fans may not recognize the name at first but he has collaborated with Guy Pratt, Richard Wright, and David Gilmour in the past. For a great trip down memory lane and to get a better sense of Beken’s musical pedigree, check out The Orb’s Metallic Spheres. Of course, the person everyone is really here to see is Mason, whose drumming sounds sharp and as powerful as ever. Just listen to that live performance of Obscured by Clouds and it’s easy to realize how the studio veils Mason’s drumming ability and power throughout the entire Pink Floyd discography. As Harris reminds the audience: Mason had not played live in Connecticut since two nights at the XL Center (then called the Hartford Civic Center) on the 14th and 15th of October, in 1987. Before that, it was the Palace Theater in Waterbury on March 18th of 1973, which included a full performance of Dark Side of the Moon and closed with One of These Days – one of the tracks the Saucers played with awesome bluster at the Oakdale Theater tonight. There was something visceral about Harris sharing that small tidbit of Connecticut and Pink Floyd history during the performance. Somehow, it made the audience feel closer to the Saucers and to appreciate the great opportunity in front of them. It took more than 10 years for Mason to come back the first time around and this time it was more than 30. For a moment there, we were all pinching ourselves. Saucerful of Secrets plays Boston this evening. 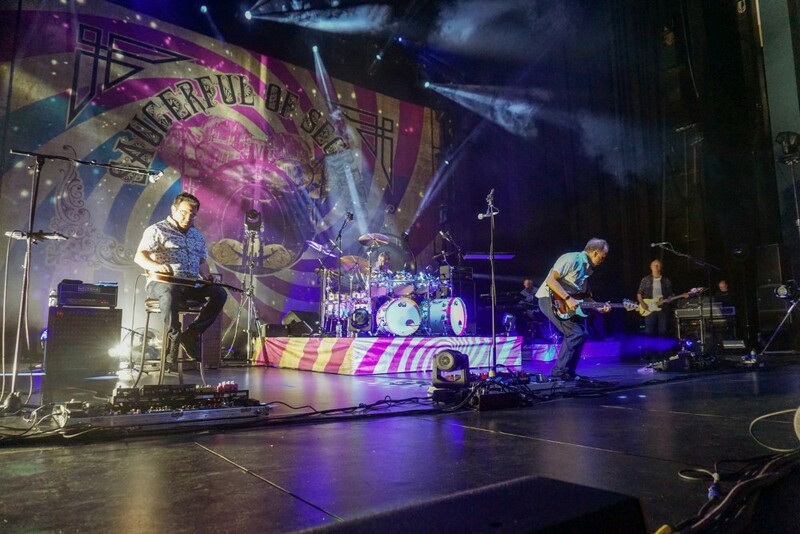 Visit the Saucerful of Secrets website for tour dates; for additional information visit the band at Facebook and Instagram . Photography by Marie Lopez Photography; you can see additional live photography on Facebook and Instagram .